Balance. As a wine merchant by day that’s a word I use with great frequency. Because what I seek in the bottles I offer my customers is a balance—harmony, if you will—between a wine’s fruit, earth, and acid elements. Too much fruit in a wine will taste dull, of one-note, like a bottom-heavy speaker. Too much acid, and you might need a trip to the dentist. Too much earth, and, well, while mineral elements are key to a wine’s complexity they need to fold into the whole, otherwise the bitterness can overwhelm. But when properly balanced, these are the elements that not only make a wine sing, but also make it something that can enhance a meal, something worth paying attention to, maybe even contemplate, as opposed to being mere liquid refreshment. This coherence, this harmony, this kind of completeness is also, for me, what transforms high-end audio components from being simply sound-producing machines into conveyors of music’s many aural, intellectual, and emotional pleasures. 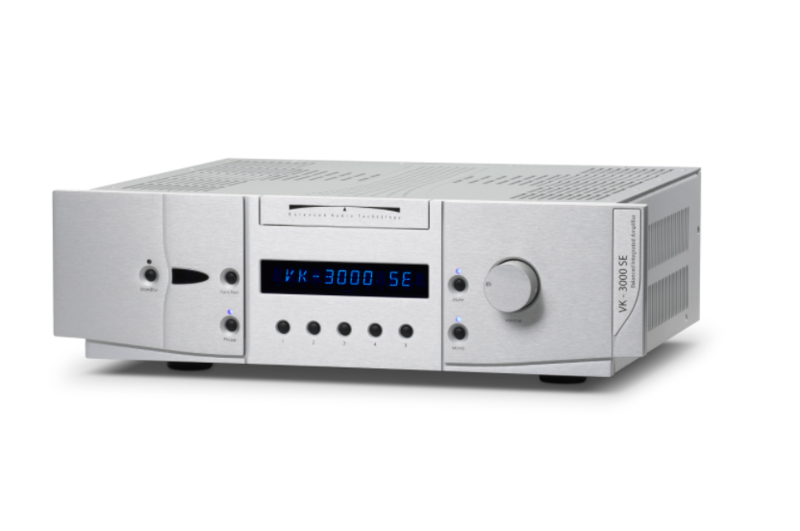 The VK-3000SE integrated amplifier ($7995) is BAT’s most recent top-of-the-line effort. And, folks, it’s a doozy. This is one integrated amp that does what we’ve come to expect from the best of these all-in-one designs: To deliver the performance of separate components in a single, relatively compact package—in this case, measuring 19" x 5.75" x 15.5" and weighing in at 50 pounds. The VK-3000SE is also a hybrid design that marries a tube preamp stage with a solid-state power amplifier section. If truth be told, I’ve had mixed experiences over the years with hybrid tube-transistor integrated amps. To be sure, the concept behind coupling the speed, power, and essentially zero maintenance of a transistor-equipped power amp section with the (likely) warmer, airier, more harmonically layered tube preamp driving it makes loads of sense. But the conception and execution of such designs don’t necessarily result in a coherent sonic voice, instead sometimes devolving into a hodge-podge that doesn’t quite satisfy fans of either approach. But BAT nailed this one. The unit’s preamp section is outfitted with the same 6H30 “SuperTube Unistage” design topology—including the same excellent paper-in-oil signal capacitors—found in BAT’s top-end Special Edition tube preamplifiers. Inputs include two balanced (XLR) and three single-ended (RCA), with the option to add a conveniently tweakable mm/mc phonostage, which was how my review sample was delivered; I’ll describe this in due course.